Undeniably, the best way to expand vocabulary and knowledge is by reading. We can’t rely on the conversations we have and we can’t rely on vocabulary word lists. So if you are looking to boost your verbal score, don’t just use practice problems. Expand your practice and studying to high quality news articles from trusted news sources. But what is a high-quality, trusted news source? A fair question indeed! Our lives are suffused with text and media. Wading through this mess and finding quality content is not easy. We yearn for a trusted friend to recommend something to read because we know that it will at least rise above a threshold of quality. What follows is a collection of writers that Magooshers like to read. These authors, journalists, and columnists write for distinguished news outlets and consistently write quality articles. Before we dive into the authors, remember that it is not just what you read that matters. It is how you read as well. Cultivate an active reading style as you read on a daily basis. Don’t passively take in the information; constantly seek meaning as you read. Margarette, our Director of Marketing, recommended these authors in The Atlantic. I combed through the journalists’ articles and chose some interesting ones to start with. Svati Kirsten Narula writes for and produces The Atlantic‘s National channel. Julie Beck is an associate editor at The Atlantic, where she covers health. John T. Tierney is a correspondent for The Atlantic and a former professor of American government at Boston College. Adam Gopnik has been writing fiction, humor pieces, book reviews, and other reporting pieces for The New Yorker since 1986. Not a journalist, but a compelling writer, Alain de Botton writes his thoughts in his blog. At times pretentious, but, ultimately, entertaining, de Botton writes about the philosophy of everyday life. He hasn’t written much on his blog, but there are two interesting articles worth perusing. Glenn Kessler, The Washington Post fact checker, is always an enjoyable read. He does a good job of breaking down arguments and details, which is always useful on tests, especially the GMAT. To improve your close performance in answer choices, you may want to focus more on test skills than academic English skills. Really analyze exactly why one of the two close questions is the correct one, and look at exactly why you make incorrect choices sometimes. And look for GMAT prep materials that include some good answer explanations. With a better understanding about how answer choices work, you can develop strategies to select the right answers more often, even when two answers are close. As for “mood,” I’m not sure which mood you’re referring to? Do you mean you have trouble recognizing grammatical moods such as the subjunctive mood? Or do you mean you have trouble correctly identifying the author’s emotional mood— their tone and opinion? 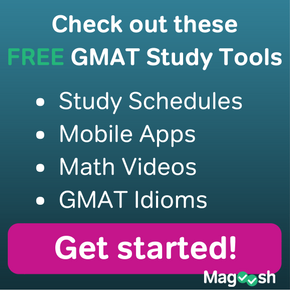 Either way, the Magoosh GMAT Blog has you covered! 🙂 Mike’s done a very helpful post on mood in GMAT grammar. And Kevin did a TOEFL Tuesday lesson on how to recognize author’s opinion and tone in GMAT RC. Hi, I have been reading articles from all the resources mentioned. But, still my progress is very low. I am still struggling to comprehend CR and RC with in the time lines of the question. I am planning to take exam in 5 weeks of time. Great question! 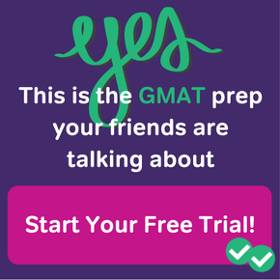 😀 You will still need to practice with the GMAT materials along with reading. 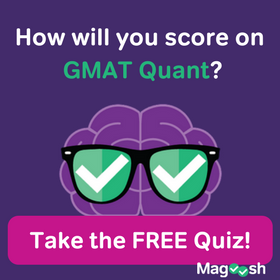 I recommend using Official GMAT materials if possible for your practice. Also, you will want to make sure that you are dedicating enough time to your mistakes. I recommend that you reading this article, specifically the section, “Did You Know Thyself (and Thyself’s weaknesses)?” That will tell you what to do in order to improve from your mistakes. Hello Kevin! I am a new comer and I love this blog! Just few questions about this topic. Is it ok if I read 2 articles from the ‘TIME’ magazine per day ? Since you mentioned the ‘The Economist’ as a good source, are these two magazines at a same level for a non-native speaker like me?